Looking for a fun outfit to wear on a Saturday night or out to brunch with the gals? 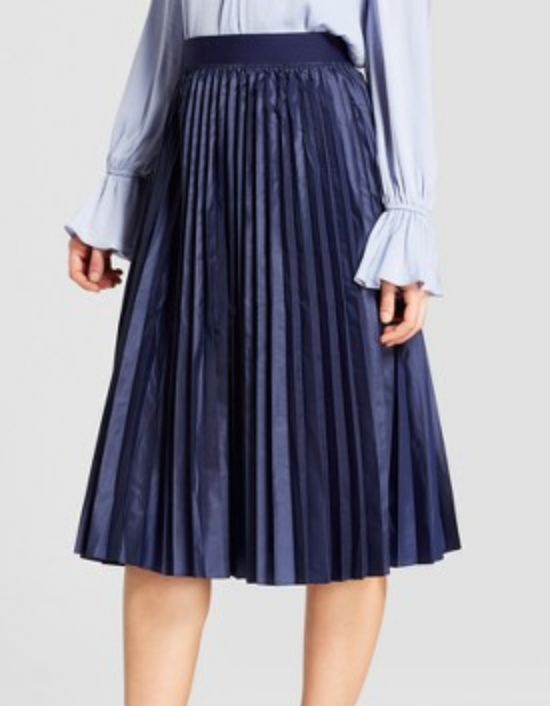 This skirt is it! 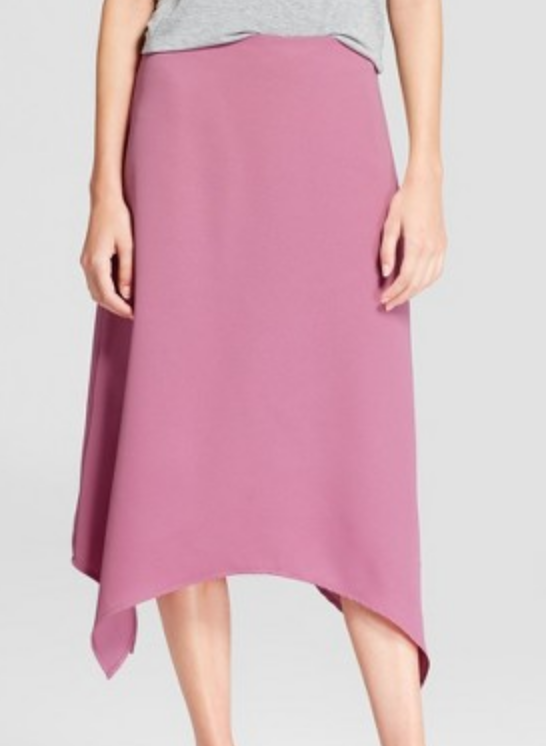 The asymmetrical hem creates even more movement to this already flowy skirt and the pleats are so pretty! 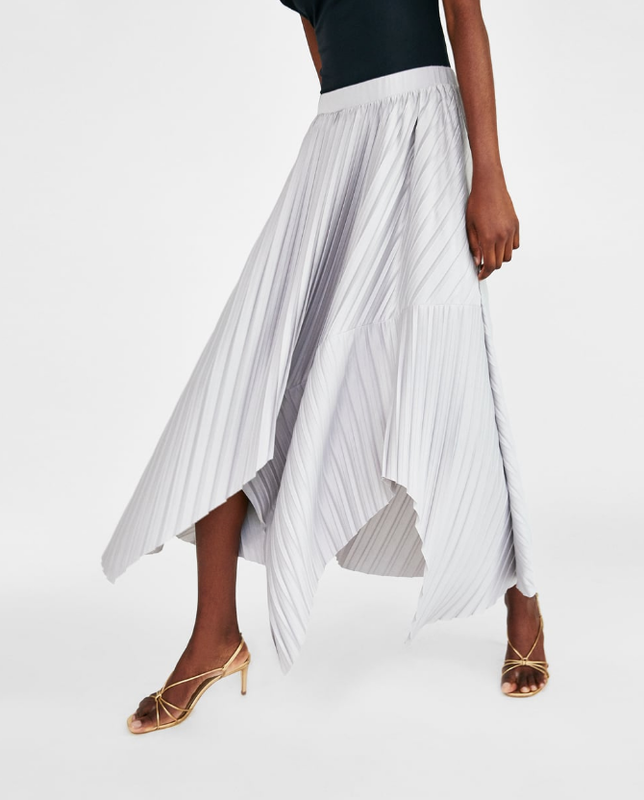 Whenever I wear this skirt, I feel like I am channeling the spritely, carefree nature of Tinkerbell, but in a very adult, grown-up way of course (ahem). If you're not a body suit person, you could also tuck a white or black tank or top into this dress and you will get the same effect as wearing a bodysuit!